Sanabel Younes is a friendly and engaging dentist based in Fishers, IN. Dr. Younes received her dental training from the New York University College of Dentistry in New York. She is also a member of the American Dental Association and the Indiana Dental Association. Dr. Younes's expansive dental scope encompasses advanced training in endodontics, impaction surgery, pediatric dentistry, and community based healthcare. She is devoted to ensuring the continued oral health of all her patients and, as a result, takes a thorough and precise approach to her dental consultations, which typically last about 45 minutes. 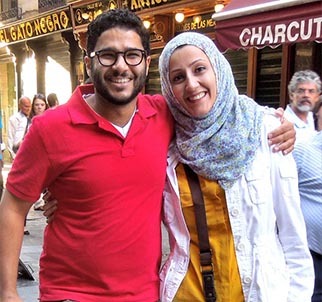 When she is not working, Dr. Younes loves to spend time with her husband. She also enjoys cooking, being with family, languages, and traveling.